Twenty-eight years ago, the Slightam’s received assistance from Stewartville to help the couple start up their business. Now, Tom and Sue, owners of Jimmy’s Salad Dressings and Dips, are giving back to their community through the Low Water Bridge Foundation. It is their goal to help new small businesses rise up and succeed. Through their generous donations, the Slightam’s hope that more small businesses will call the Stewartville area their home. We were very excited to work with Tom and Sue! 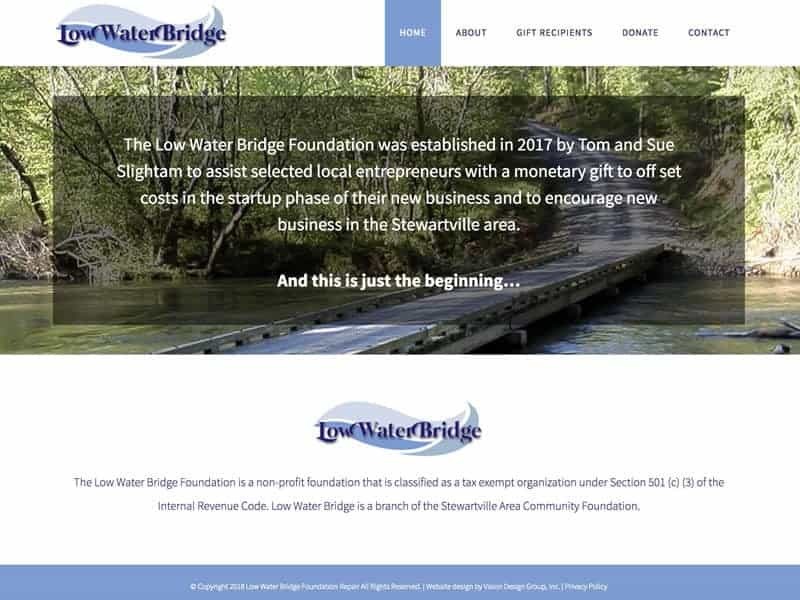 The Low Water Bridge was a new foundation and needed a website to communicate and promote their mission, accept donations and identify past recipients. The site uses straight forward navigation for website users and has a simple donation form. 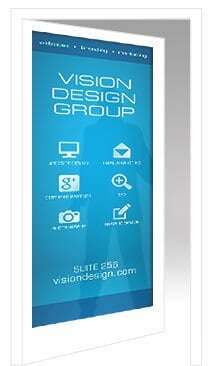 We can help you create the website to best fit your business!